Andrew Cohen received his BA and PhD from the University of Sheffield and his Master of Studies (MSt) from the University of Oxford. Before joining the University of Kent he worked in the International Studies Group at the University of the Free State (UFS), South Africa, where he retains a research fellowship. Andrew's research interests focus on the late 19th- and 20th-century British Empire and the early decades of independence in sub-Saharan African countries. He is particularly interested in the ways in which multinational business navigated the rapidly changing political landscape of late colonial/early post-colonial Africa. 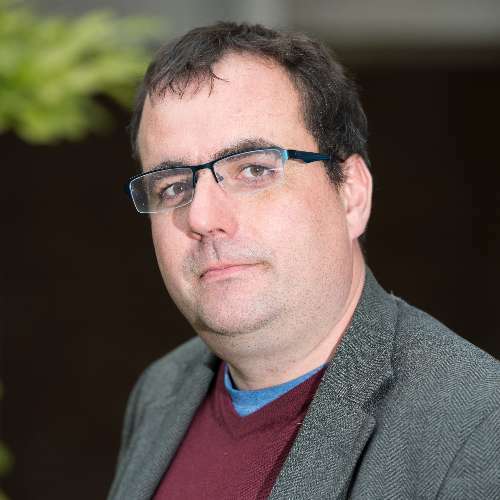 Andrew is currently engaged on a three-year (2016-2019) British Academy Newton Fund project with Dr Rory Pilossof (UFS) on labour migration and labour relations in southern Africa, 1900-2000. Andrew teaches predominantly on the global history of empires. Andrew would be happy to hear from prospective postgraduate students who wish to explore political or economic aspects of imperialism. Cohen, A. and Pilossof, R. (2017). Big Business and White Insecurities at the End of Empire in Southern Africa, c.1961-1977. Journal of Imperial and Commonwealth History [Online] 45:777-799. Available at: http://dx.doi.org/10.1080/03086534.2017.1370217. This paper examines popular and widespread mistrust of large-scale capitalism, and its potential for disloyalty to the post-1965 Rhodesian state, by the white middle class and small-scale capitalists in Rhodesia. It focuses on the relationship between Roland ‘Tiny’ Rowland, managing director of the multinational Lonrho company, and Wilfred Brooks, the editor of the largest business/trade journal in Rhodesia, Rhodesian Property & Finance. This case is augmented with observations on the role and actions of other multinationals such as the Anglo American Corporation and the newspaper conglomerate of the Argus Press, which illustrate how white, urban, small-scale capital responded to the political changes underway. A close reading of Property & Finance in the early 1960s suggests there was a general fear of large-scale business enterprise without firm Rhodesian roots. As the 1960s progressed, this fear morphed into concerns of big businesses’ relationship with African nationalists and the pan-African movement. Many saw these companies as too friendly with new African political entities. In particular, Rowland’s willingness to work with independent Africa, and particularly the Organisation of African Unity, was of crucial importance in shaping the way in which Property & Finance engaged with Lonrho’s business activities. These findings illustrate key divisions within the white community during a time of radical change. Furthermore, they cast light on the contested, and often contradictory, role played by these multinational companies during the era of decolonisation and political change in southern Africa. Cohen, A., Pilossof, R. and Swart, S. (2016). The State, The Citizen and Power. South African Historical Journal [Online]. Available at: http://dx.doi.org/10.1080/02582473.2015.1118883. finally, they offered a look at war and the potential for social healing in Zimbabwe. Now, in this Special Issue, a new generation of historians make their mark. Cohen, A. (2016). Lonrho and the Limits of Corporate Power in Africa, c. 1961-1973. South African Historical Journal [Online] 68:31-49. Available at: http://dx.doi.org/10.1080/02582473.2015.1118878. This article focuses on the British multinational business Lonrho and the very real limits to its corporate power. In doing so it will examine the expansion of Lonrho, under its buccaneering chairman Roland ‘Tiny’ Rowland, from its Southern Rhodesian roots across the African continent. In addition, it will demonstrate how Lonrho's African businesses proved crucial in buttressing Rowland's control of Lonrho in an attempted boardroom coup during May 1973. While Rowland's ability to coerce African governments was negligible at best, his African relationships and networks provided a key component of his successful battle to retain control of the company. As such this article demonstrates the need to (re)-consider the multifaceted nature of corporate power during the period of decolonisation. Cohen, A. (2014). Britain and the Breakdown of the Colonial Environment, the struggle over the Tanzam Oil Pipeline in Zambia. Business History Review [Online] 88:737-759. Available at: http://dx.doi.org/10.1017/S0007680514000749. This article explores the tendering process for the construction of the Tanzam oil pipeline during the mid-1960s. In addressing aspects of the political response to British investment overseas and the history of the British company Lonrho, it argues that the British government's determination to concentrate financial investments at home affected its ability to project its presence through supporting business overseas. In addition, the article suggests that the Zambian government demonstrated autonomy in awarding the tender. Cohen, A. (2014). Dams and the Dilemmas of Development. African Historical Review [Online] 46:70-81. Available at: http://dx.doi.org/10.1080/17532523.2014.911438. Cohen, A. (2011). Lonrho and Oil Sanctions Against Rhodesia in the 1960s. Journal of Southern African Studies [Online] 37:715-730. Available at: http://dx.doi.org/10.1080/03057070.2011.611286. This article assesses how the British multinational company Lonrho, led by its buccaneering managing-director, Roland ‘Tiny’ Rowland, attempted to navigate oil sanctions against Rhodesia after the British colony had made its Unilateral Declaration of Independence (UDI) in November 1965. Rowland had built, and possessed, a majority shareholding in the company which operated the oil pipeline that provided crude oil to Rhodesia's Feruka refinery near Umtali from the port of Beira on the Mozambique coast. After voluntarily ceasing to supply Ian Smith's rebel regime with oil soon after UDI, Lonrho became involved in a series of discussions with the British government over the future of the pipeline and oil sanctions more generally. In examining these discussions, I will argue that the pipeline was of too much symbolic importance for the British government to significantly allow Lonrho to influence its Rhodesia policy. Despite clear evidence that the Beira naval blockade was to all intents and purposes ineffectual, as petroleum products were still reaching Rhodesia via Lourenço Marques, the influential position of South Africa and more established British businesses operating in the area meant that Rowland's protestations went ignored. This further supports arguments made in recent literature that contend that the primary purpose of British sanctions against Rhodesia was to dissipate international calls for tough measures, rather than to bring about the end of white minority rule in Rhodesia. Cohen, A. (2010). “A Difficult, Tedious and Unwanted Task”: Representing the Central African Federation at the United Nations, 1960-1963. Itinerario [Online] 34:105-128. Available at: http://dx.doi.org/10.1017/S0165115310000379. On Tuesday 22 January, 1963, the First Secretary of State and Minister in charge of the Central Africa Office, R.A. Butler, met with the Southern Rhodesia Cabinet in Salisbury. Butler notified the Cabinet that he was visiting the Central African Federation in order to “gauge for himself” the situation. Southern Rhodesia, he remarked, was “an issue unjustifiably pursued at the United Nations” and countering this negative international opinion “was providing the British Government with a difficult, tedious and unwanted task”. Cohen, A. (2009). Voice and Vision - The Federation of Rhodesia and Nyasaland’s public relations campaign in Britain: 1960-1963. Historia 54:113-132. By the late 1950s, the future prospects of the Federation of Rhodesia and Nyasaland were increasingly portrayed in a pessimistic light in the British press. The Federal government chose to counter this coverage by undertaking a comprehensive public relations campaign in the United Kingdom. This article examines their decision to hire the London public relations company, Voice and Vision, and this company's subsequent attempts to rehabilitate the Federal image between 1960 and 1963. It will be argued that although the campaign achieved limited success in some quarters, it revealed that the Federal government had misunderstood British politics, and did not grasp the erosion of the ties that might previously have secured the Federation's future in British public sympathy only ten years earlier. Cohen, A. (2008). Business and Decolonisation in Central Africa Reconsidered. Journal of Imperial and Commonwealth History [Online] 36:641-658. Available at: http://dx.doi.org/10.1080/03086530802561024. to support the federal prime minister, Sir Roy Welensky, following their public withdrawal of funding from his governing United Federal Party in May 1959. This marked divergence with RST’s policy of engagement with aspirant African leaders was driven by the company’s close personal links with Welensky as well as geopolitical factors. Furthermore, the influence of RST’s American connections on directing the company’s policy should not be understated. Harold Hochschild, AMAX’s chairman, played a pivotal role in directing RST’s strategy. Cohen, A. (2017). The Politics and Economics of Decolonization in Africa: The Failed Experiment of the Central African Federation. [Online]. I. B. Tauris. Available at: https://www.bloomsbury.com/us/the-politics-and-economics-of-decolonization-in-africa-9781786722164/. The slow collapse of the European colonial empires after 1945 provides one of the great turning points of twentieth century history. With the loss of India however, the British under Harold Macmillan attempted to enforce a 'second' colonial occupation - supporting the efforts of Sir Andrew Cohen of the Colonial Office to create a Central African Federation. Drawing on newly released archival material, The Politics and Economics of Decolonization offers a fresh examination of Britain's central African territories in the late colonial period and provides a detailed assessment of how events in Britain, Africa and the UN shaped the process of decolonization. The author situates the Central African Federation - which consisted of modern day Zambia, Zimbabwe and Malawi - in its wider international context, shedding light on the Federation's complex relationships with South Africa, with US Presidents Dwight Eisenhower and John F. Kennedy and with the expanding United Nations. The result is an important history of the last days of the British Empire and the beginnings of a more independent African continent. Cohen, A. and Pilossof, R. (2018). Big Business and White Insecurities at the End of Empire in Southern Africa, c.1961-1977. in: Law, K. ed. The Decolonisation of Zimbabwe. London, UK: Routledge. Available at: https://www.routledge.com/The-Decolonisation-of-Zimbabwe/Law/p/book/9780367030698. This paper examines popular and widespread mistrust of large-scale capitalism, and its potential for disloyalty to the post-1965 Rhodesian state, by the white middle class and smallscale capitalists in Rhodesia. It focuses on the relationship between Roland “Tiny” Rowland, managing-director of the multinational Lonrho company, and Wilfred Brooks, the editor of the largest business/trade journal in Rhodesia, Rhodesian Property & Finance. This case is augmented with observations on the role and actions of other multinationals such as the Anglo American Corporation and the newspaper conglomerate of the Argus Press, which illustrate how white, urban, small-scale capital responded to the political changes underway. A close reading of Property & Finance in the early 1960s suggests there was a general fear of large-scale business enterprise without firm Rhodesian roots. As the 1960s progressed, this fear morphed into concerns of big businesses’ relationship with African nationalists and the pan-African movement. Many saw these companies as too friendly with new African political entities. In particular, Rowland’s willingness to work with independent Africa, and particularly the Organisation of African Unity, was of crucial importance in shaping the way in which Property & Finance engaged with Lonrho’s business activities. These findings illustrate key divisions within the white community during a time of radical change. Furthermore, they cast light on the contested, and often contradictory, role played by these multinational companies during the era of decolonisation and political change in southern Africa. Cohen, A. and Anderson, C. eds. (2013). The Government and Administration of Africa, 1880-1939 (Britain and Africa) 5 volumes. Exeter, UK: Pickering and Chatto, Routledge. This collection makes available rare sources on the aims, functions and effects of British administration in Africa. Topics examined include: land and urban administration, law and jurisprudence, taxation and administration of natural resources. Cohen, A. (2008). Review: R. Hyam, ‘Britain’s Declining Empire: The Road to Decolonisation, 1918-1968’ [Online]. Available at: http://hsozkult.geschichte.huberlin.de/rezensionen/type=rezbuecher&id=9431. Cohen, A. (2017). Review of S. J. Barton, Policy Signals and Market Responses: A 50 Year History of Zambia’s Relationship with Foreign Capital (Basingstoke, Palgrave, 2016). Business History Review [Online] 91:221-223. Available at: https://doi.org/10.1017/S0007680517000599. Cohen, A. (2016). The Ends of European Colonial Empires: Cases and Comparisons. South African Historical Journal [Online] 68:479-481. Available at: http://dx.doi.org/10.1080/02582473.2016.1224267. Cohen, A. (2015). Foreign intervention in Africa: From the Cold War to the War on Terror. African Affairs [Online] 115:173-174. Available at: https://doi.org/10.1093/afraf/adv066. Review of Foreign intervention in Africa: From the Cold War to the War on Terror, by Elizabeth Schmidt. Cambridge: Cambridge University Press, 2013. vi + 268 pp. £17.99 (paperback). ISBN 978 0 52170 903 3. Cohen, A. (2015). Review: T. Cleveland, ‘Stones of Contention: A History of Africa’s Diamonds’. Business History Review 89:200-202. Cohen, A. (2013). Review: W. S. van der Waals, ‘Portugal’s War in Angola, 1961-1974’. African Historical Review 45:167-169. Cohen, A. (2011). Review: M. Harper and S. Constantine, ‘Migration and Empire’. South African Historical Journal 63:616-617. Cohen, A. (2010). Review: J. Darwin, ‘The Empire Project: The Rise and Fall of the British World-System 1830-1970'. South African Historical Journal 62:771-773. Cohen, A. (2010). Review: M. Shipway, ‘Decolonization and its Impact: A Comparative Approach to the End of the Colonial Empires’. South African Historical Journal 62:414-416. Cohen, A. (2009). Review: J. Derrick, ‘Africa’s Agitators: Militant Anti-Colonialism and the West, 1918-1939’. African Historical Review 41:152-154. Cohen, A. (2008). Review: L. Butler, ‘Copper Empire: Mining and the Colonial State in Northern Rhodesia, c. 1930-64’. Journal of Imperial and Commonwealth History 36:318-320. Cohen, A. (2007). Review: M. Lynn (ed), ‘The British Empire in the 1950s: Retreat or Revival?’. South African Historical Journal 57:291-293. Cohen, A. (2006). Review: J.R.T Wood, ‘So Far and No Further! Rhodesia’s bid for Independence and the retreat from Empire, 1959-1965’. Historia 51:294-297.